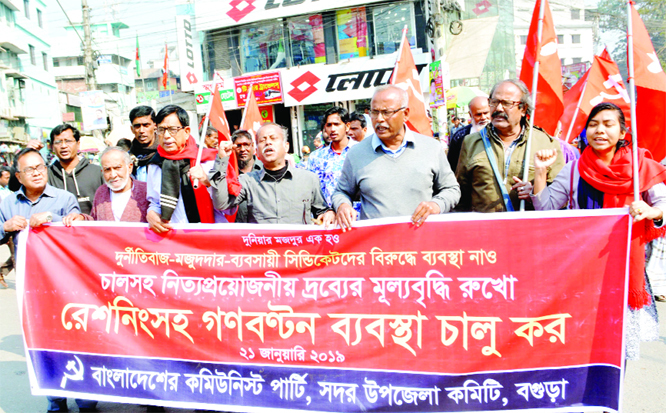 BOGURA: Bangladesh Communist Party, Bogura Sadar Upazila Unit brought out a procession on Monday demanding steps to check price-hike. 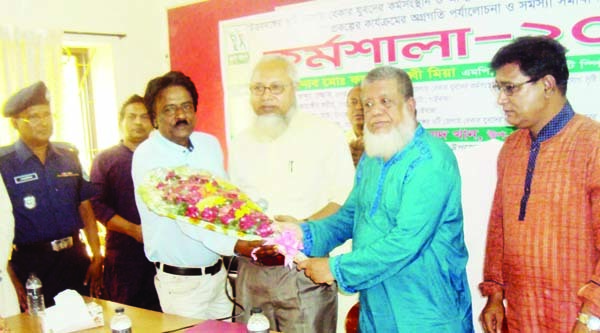 SAGHATA (Gaibandha): Tofayel Ahmen, Director General of Youth Development Directorate greeting Deputy Speaker of the Jatiya Sangsad Adv Fazley Rabbi Miah MP for his contributions on employment facilities of youth at a workshop in Saghata Upazila on Saturday. 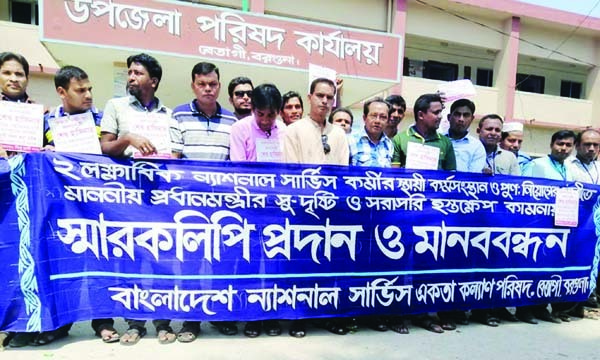 BETAGI(Barguna): Bangladesh National Service Ekota Kalyan Parishad, Betagi Upazila Unit formed a human chain in front of Upazila Parishad Office to press home their 2- point demands on Sunday. 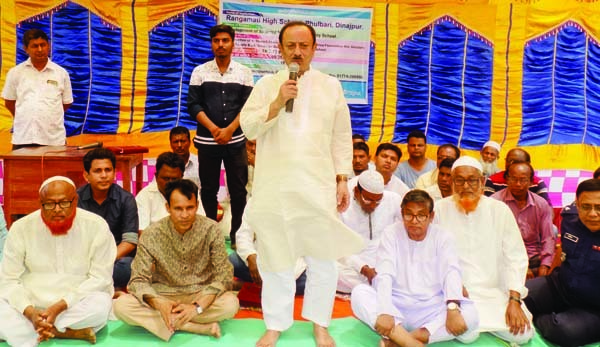 DINAJPUR(South): Chairman of Standing Committee on Primary and Mass Education Ministry Md Mustafizur Rahman Fizar MP speaking at the inaugural programme of the new academic building of Rangamati High School at Fulbari Upazila recently. 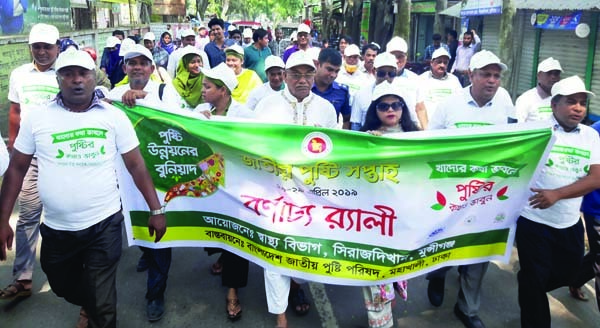 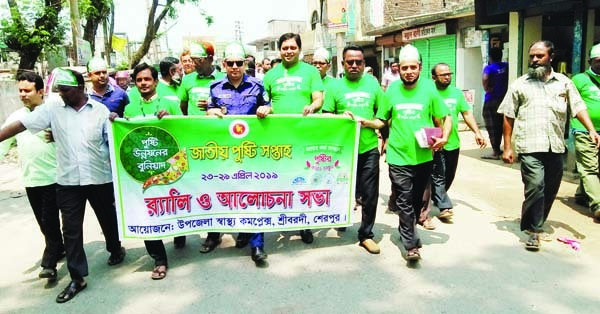 SREEBARDI (Sherpur ): A rally was brought out by Sreebardi Upazila Health Complex on the occasion of the National Nutrition Week yesterday.